Ceramic wall: The ceramic wall can block contaminants over 0.1um, Effective filtration of water red worms, scale, sediment, floating objects, odor, rust, bacteria, part of residual chlorine, coli, salmonella, MRSA, and big particles, etc. Activated carbon: The activated carbon reduces odor, organics, chlorine, phenol, arsenic, lead, cyanide, ect. KDF: The KDF is a reliable filtration media verified by NSF and WQA already. KDF reduces some heavy metals including lead, mercury, copper, nickel, cadmium, arsenic, antimony, fluorid, ect. Remove the ink cartridge to clean the surface or replace it with a new one. 1 filter provides up to 100 gallons (2 to 3 months) of clean water. 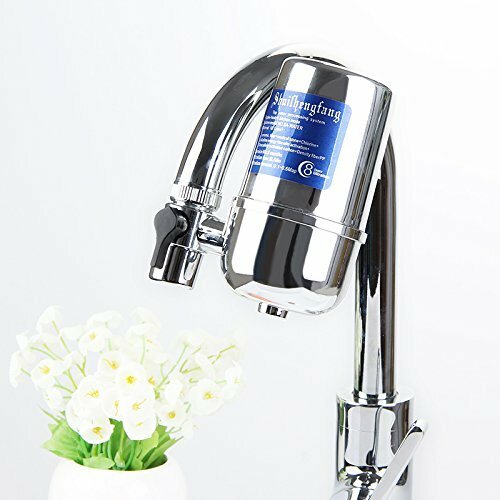 This product can filter a small part of chlorineof water. Careful consideration before ordering. If you have any questions about this product by NeillieN, contact us by completing and submitting the form below. If you are looking for a specif part number, please include it with your message.